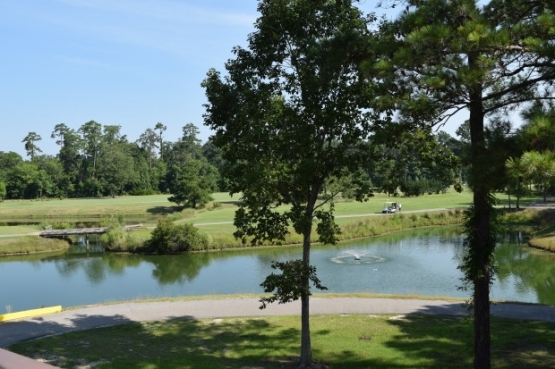 River Oaks Golf Plantation is located just west of the scenic Intracoastal Waterway and only minutes from downtown Myrtle Beach. Renowned golf course architects Gene Hamm and Tom Jackson combined their talents to create this 27-hole Myrtle Beach golf course. River Oaks is surprisingly serene as it is so closely located to the hustle and bustle of Myrtle Beach. The three nine-holes are named for animals that were found in their natural habitats when the course was built. The “Fox”, the “Otter” and “Bear” courses are all challenging and fun. The tree-lined fairways wind through strategically placed water hazards and bunkers to lead to beautiful undulating putting surfaces that feature Champion Ultradwarf greens. River Oaks is convenient to many of the outstanding Myrtle Beach entertainment venues such as Broadway at the Beach and the Myrtle Beach Sky Wheel. When planning your Myrtle Beach golf vacation, consider a Myrtle Beach Golf Authority golf package. You can combine any of the outstanding Myrtle Beach golf courses with the very best in Myrtle Beach accommodations, from Myrtle Beach hotels, condos and beautiful ocean front beach houses. Known as the “Seaside Golf Capitol of the World”, Myrtle Beach, South Carolina is just waiting for you to book your Myrtle Beach vacation today!